We have 5 x $50 tasman Butchers vouchers to give away to som ehappy snappers! 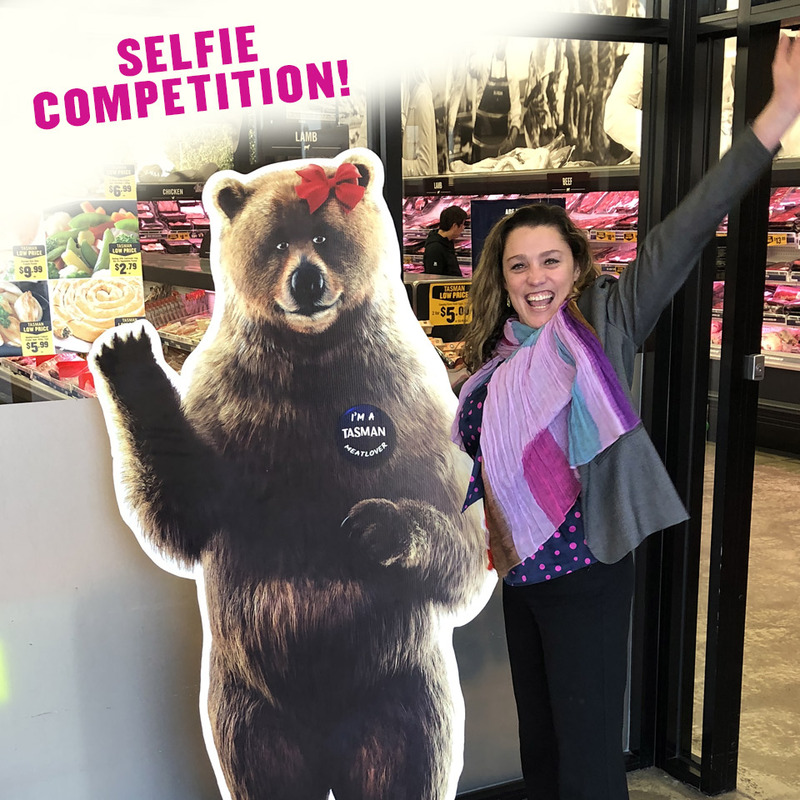 To enter simply snap a selfie with Karen in any Tasman Butchers store by next Monday, July 16th 2018 and post it in the comments of our Facebook page. You can double your chances of winningby sharing on our Instagram and using hashtags #TasmanSelfie #SelfiewithKaren. Upcoming Event at Tasman Butchers Weribee. 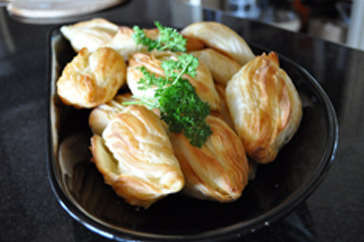 With a Mediterranean Pastizzi Tasting on Wednesday 11th July from 11.00 am to 1.30pm. 30th Birthday Competition winners announced! 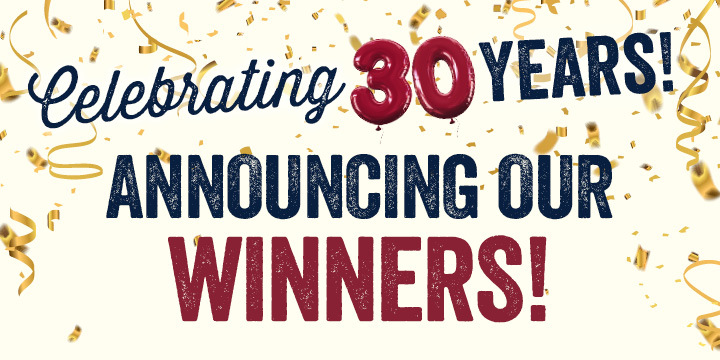 We are pleased to announce the 10 lucky winners for our 30th Birthday Competition! The winners are: D. Hardman, S. Debney, L. Guerra, B. Piva, A. Casement, J. Skrinis, D. Churchill, A. Fitts, S. Carayanis & V. Litelnoni. Each winner will receive a $200 Tasman Butchers Gift Card to spend in-store! Thank you to everyone who participated and helped make our 30th Birthday Competition a success! News: Gold Medal & Best In Class Winners at the Australian Food Awards 2017! 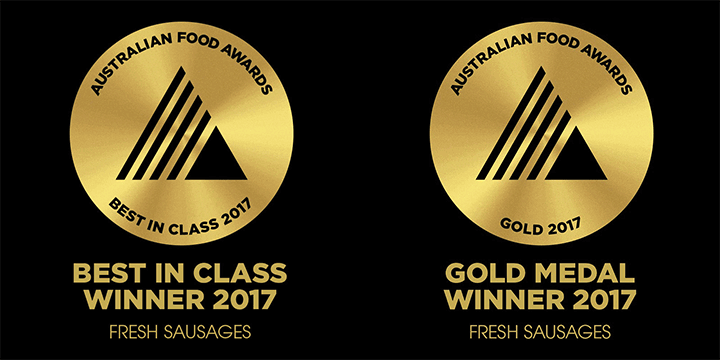 We're proud to announce that our Pepper & Worcestershire Beef sausages and Red Thai & Chilli Beef sausages each won a gold medal at the prestigious 2017 Australian Food Awards! Held by the Royal Agricultural Society of Victoria, our Red Thai & Chilli Beef Sausages also won Best in Class! All of our sausages are gluten free and endorsed by Coeliac Australia with no artificial flavours or colours. Grab a 500g pack of our award-winning gourmet sausages for our everyday low price of only $6.99 / pk and try for yourself! Tasman Butchers CEO Matt Swindells talks to Darren James about what’s “in” for barbecuing now that the rush for Australia Day lamb is over. Listen here for everything from his tips on the best slow-cooked pork and the best cuts of steak, to the famous story of how the Bertocchi and Tasman relationship began over 40 years ago. 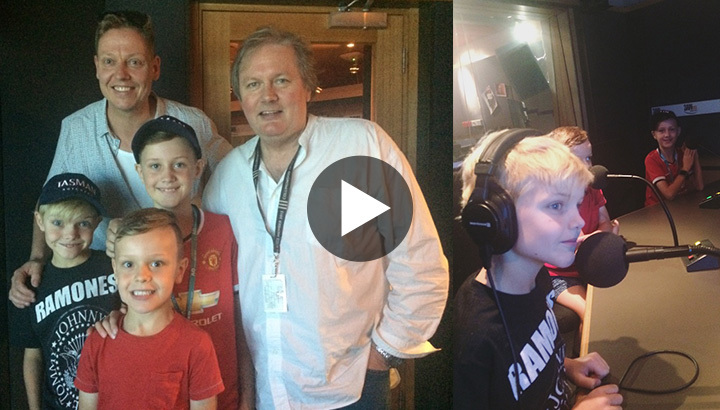 You’ll also hear from Matt’s 3 boys! Make sure you press play on the January 28, 2017 Podcast. Matt's segment starts at 55:59.